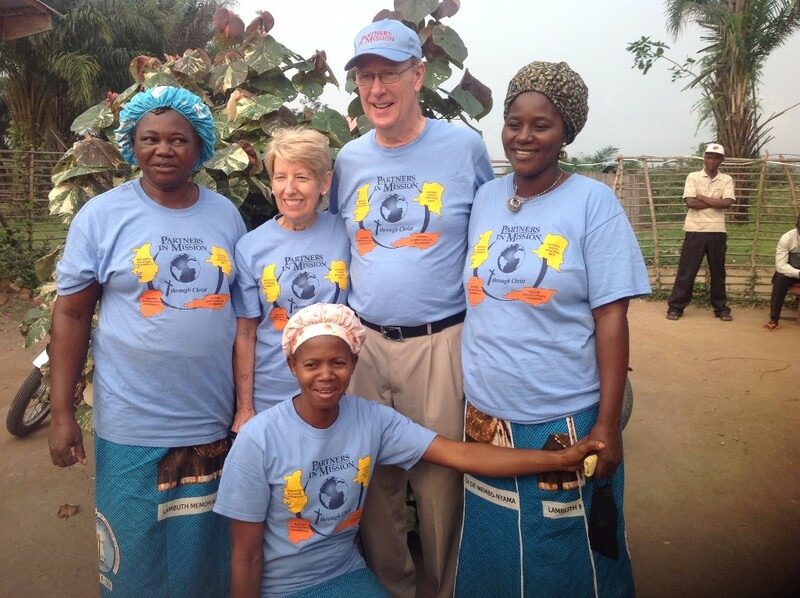 Our hearts are filled with joy as we conclude our Cataract Surgery Mission. God truly blessed this mission in amazing ways and every day we literally saw miracles happen. Each day was filled with prayers as pastors and lay people gathered in the local church and “revival area”, an outside prayer chapel, to pray for those working on the team and for patients. God truly heard the prayers of the faithful. 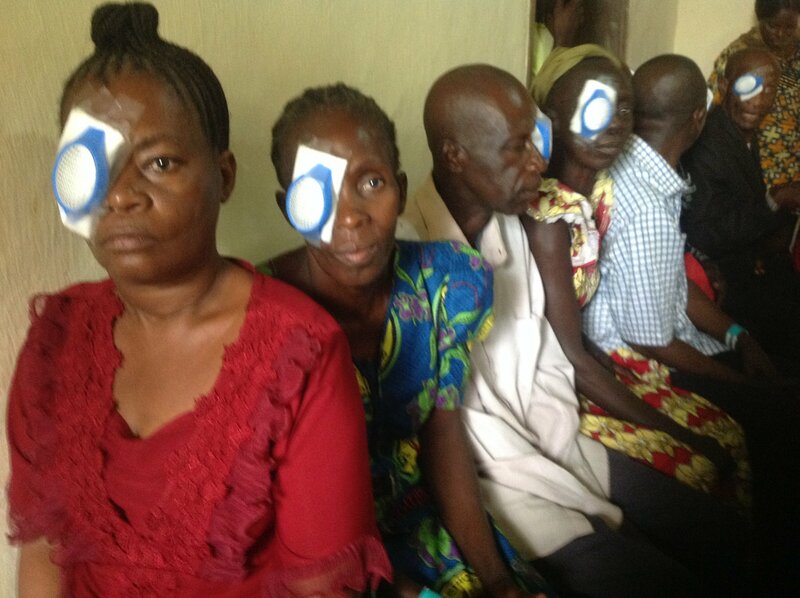 Sight was restored to the blind because of their cataracts and they rejoiced when the patch was removed from their eyes in the miracle God had given them. One mother saw her children for the first time and shed tears of joy as she thanked God for all the people who helped make this possible! 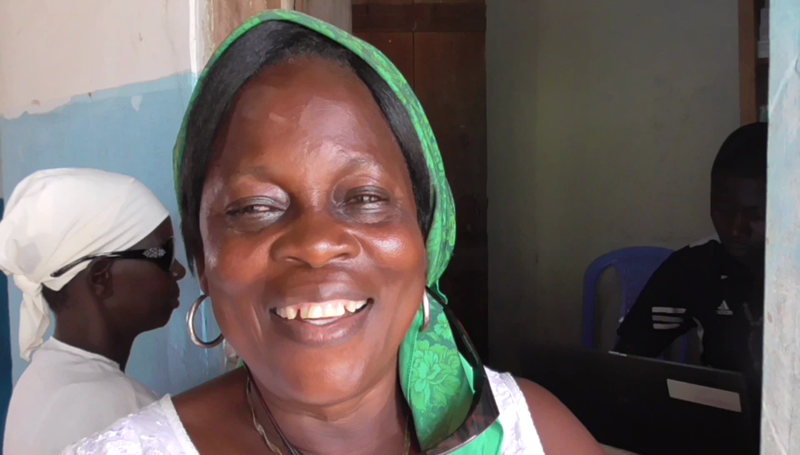 “Please continue to bring this mission to help others like me who are blind,” she proclaimed when asked to give a testimony as to what this healing meant for her. Children and adults received medicines and care that will prevent serious eye problems in the future. Without this care, they would probably lose their sight. Rejoice! 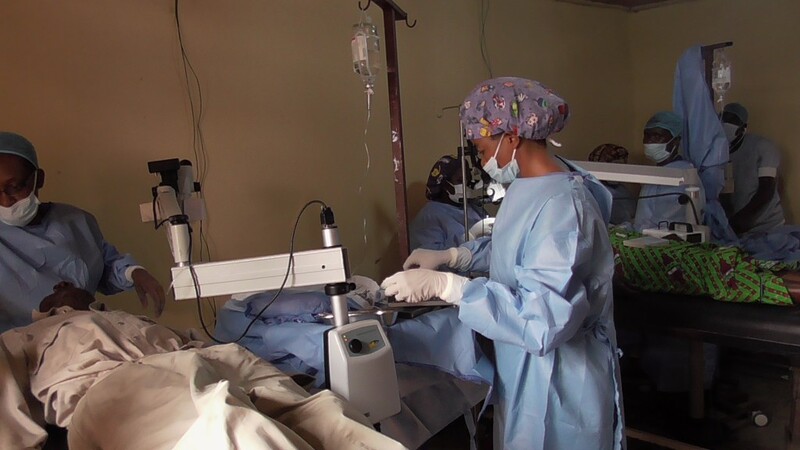 The pediatric surgeon we brought on team was available to respond to several emergencies caused by trauma to children. Parents carried their children bleeding into the medical center wondering if their child would lose their eyesight and later carried their child out of the operating room with the promise of restored health. Rejoice! 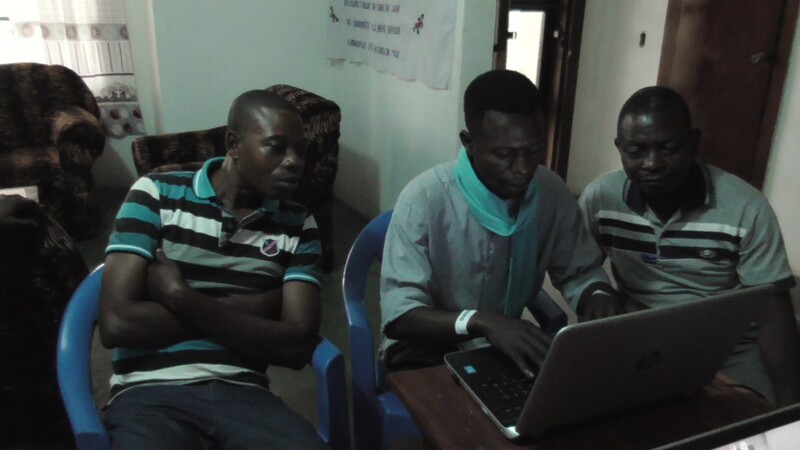 A team of about 20 young men, were trained to assist the doctors with the newly designed electronic health record system that helped assure patient safety. Many had the opportunity to put into practice what they had learned on the computers that will prepare them for future educational opportunities. After the mission, these computers were given to create a new computer lab for the secondary schools and Trade School in Diengenga. In the past they “taught” computer classes without computers, students learning keyboard from a drawing on the caulk board where they could place their hands and pretend they were using a keyboard. Many hope to attend a university in the future and, without this practical experience, it would be impossible for them. Yet another miracle! People walked to this mission from hundreds of kilometers, as far as 250 miles, to receive care. They came from various tribes that often conflict with one another. Yet, in this mission, people stood in line together, ate together, slept together and there were no problems. We learned once again that Christ “breaks down the dividing walls between us” and brought peace to this mission. Rejoice! Every day pastors led worship with the hundreds that gathered for treatment. Patients, about 25-30 per day, sat outside the building with the operating room waiting expectantly and sometimes anxiously for their surgery. Pastors came regularly to offer encouragement and pray with them as their prepared mind, body, and spirit for God to bring healing. Rejoice! There was a common theme for each of the over 2000 patients who gave testimony to God’s healing power and presence: gratitude to God and to the many people whose prayers and contributions made this mission possible. Rejoice in the Lord always! Rejoice!